Staff was good, rooms and shared spaces were always very clean although we were in the high season, location is excellent! The staff Was super Nice and forthcoming. Betyder helpful and great breakfast. Short walk to the Beach which Was really Nice. We had A Nice time there. A simpatia dos funcionários, a prontidão para resolver todos os imprevistos que surgiam, o espaço em si e a comida no restaurante: a criatividade e a qualidade da comida do chef de elogiar. La situación, el restaurante. Habitación renovada con colchones nuevos. El desayuno igual todos los días , pero buena la macedonia natural. Самое классное там - это люди, персонал. Но цена явно завышена. Номер спартанский. Сёрф школа в отеле, большой выбор сёрфов в аренду по более менее нормальной цене. Немного сбоку от Пениши, удобно для тех кто на машине - рядом всегда есть где припарковаться и нет пробок как в городе. До океана минут 5-8 пешком. Хороший бассейн и зона вокруг. La habitación era amplia y con techos altos. Salida directa a la piscina. Noches muy tranquilas. 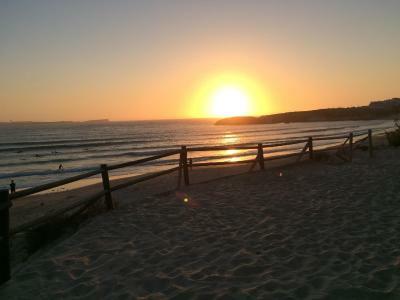 Located a 500 feet from Baía de Peniche and the beach, Shark's Lodge functions as a surf camp, an activity center and offers spacious rooms, 2 swimming pools and 2 tennis courts. All of the bright rooms feature natural light and are decorated in a surfing theme. The rooms offer a private bathroom. A pool bar is available at Shark's Lodge, for guests' convenience. 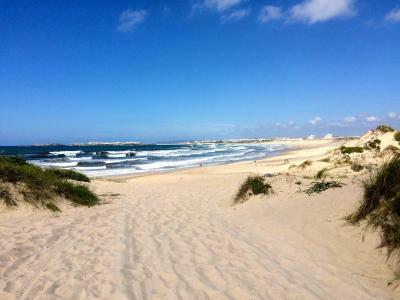 Guests are 1.6 mi from the city center of Peniche with many bars and restaurants. 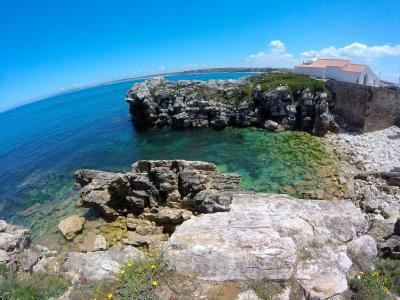 Beaches such as Supertubos and Baleal provide a perfect opportunity for surfing lessons and analysis by the staff at Shark's Lodge. 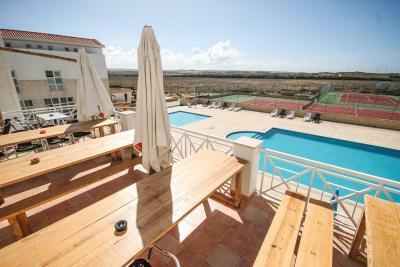 Surf, cross training and pole dance classes, as well as massages, are also available for guests. There is a luggage storage facility. Lisbon International Airport is located a 1-hour drive away. When would you like to stay at Shark's Lodge? House Rules Shark's Lodge takes special requests – add in the next step! Please note that bed linen are changed every 7 days and towels are changed very 3 days, both included in the room rate. Extra bed linen and towels have additional costs. Please note that a refundable key deposit of EUR 10 is requested at the check-in. Please note that the bar is only open during Summer. Breakfast is available upon previous request. Please inform Shark's Lodge of your expected arrival time in advance. You can use the Special Requests box when booking, or contact the property directly using the contact details in your confirmation. Great place near the beach. the photos are not true, the structure is still a yard with temporary stairs, the room is very small and humid with no comfort, for example, no hook to hang towels and the wooden beds creak so much that you do not sleep. Staff rude and approximate, no room cleaning service and no change of towels if not on request. Breakfast acceptable but be careful not to delay, at 10.01 they send you back. 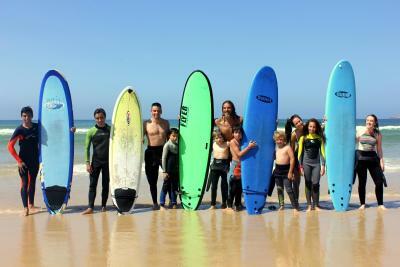 No yoga or other services, just surf lessons but too expensive, surf rental on the beaches are better. Eggs include with the breakfast. Bed was comfy. WiFi was fast. Selective garbage collection would be good. Optional closed space to store boards and wetsuits would be good.